“Give Peace a Chance” Party – It’s Official! 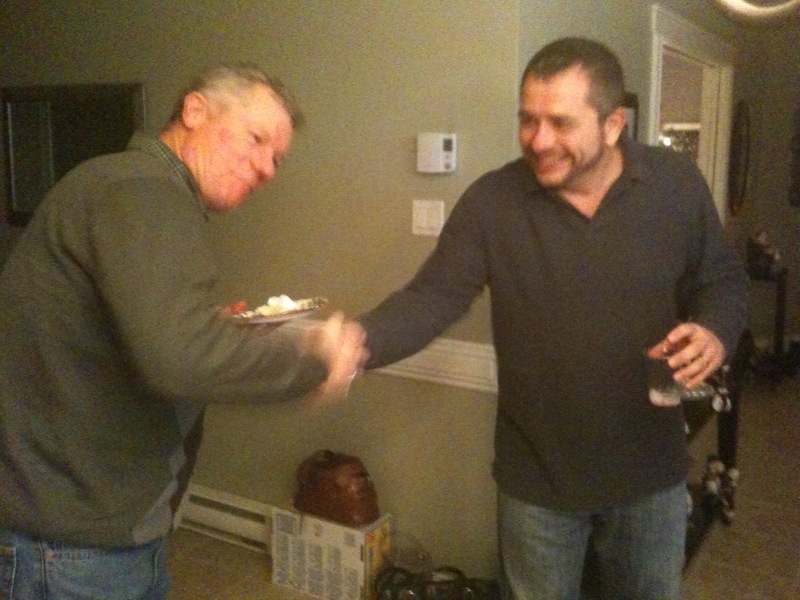 They said it would never happen, but in a showing showing of “good will towards man” – both Stephen Wight and Johnny O agreed that the 2010 SuperBowl would be a combined Party. What a great Christmas gift for the running group. The party being called the “Give peace a Chance” party (term by President Ingersoll) is the first combined superbowl party ever. Details are still being worked out, but IT IS official that the 6AMers will no longer be split when the most important kick-off of the year takes place. The party will be hosted at Stephen’s and Johnny will be providing some fantastic treats – which were previewed (and tasted) by many at the Christmas party. This entry was posted on Tuesday, December 8th, 2009 at 11:13 am and is filed under Uncategorized. You can follow any responses to this entry through the RSS 2.0 feed. You can leave a response, or trackback from your own site. 4 Responses to “Give Peace a Chance” Party – It’s Official! I’ve heard through the grape vine that there is a runners breakfast this Saturday 6:30am at J. & A. Please email the details to all. Is this a “photoshopped” image of an arm wrestling match gone wrong?? 6 AM propaganda….is “our” Glenn Beck at work here? ?